Never heard of an energy audit? You’ve seen the numbers – switching to solar energy can drastically reduce your electricity consumption. But, not every home, business or factory has the same habits or requirements, which is why simply offering a customer a system, without doing an energy audit to discover these differences is an issue. Through an energy audit problematic appliances, machinery and process plant and systems that use too much energy can be identified and corrected. This not only has the benefit of saving you significant amounts of money over time, it also improves living/working conditions generally, as well as reduces the impact on the environment. “The very first question you need to ask yourself when considering a Renewable Energy System is ‘where is my electricity being consumed’?’’ says Chris Brown, director of Solterra Cape Town/West Coast. Many houses and buildings suffer from a number of problems that tenants don’t realise are actually energy related. Energy audits help tenants discover the energy crisis at the heart of their problems, removing them from darkness (sometimes quite literally). 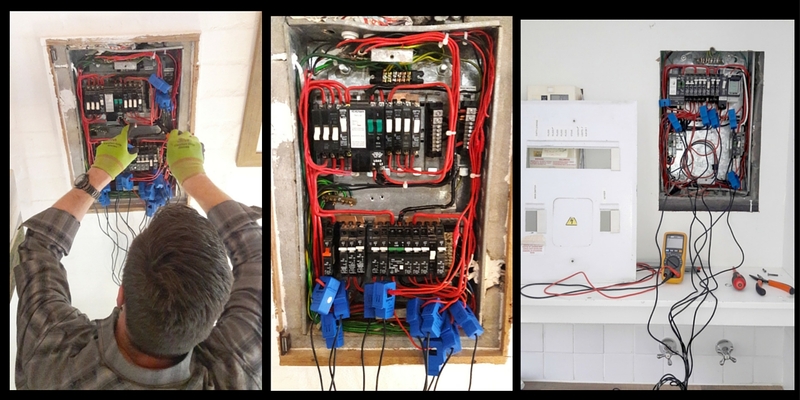 An energy audit works by connecting extremely accurate electrical test equipment (a data logger) to each circuit in your distribution board for a two-week period, which enables a qualified team to track and capture an accurate profile of your energy usage levels and patterns. After this, an analysis report is compiled that not only gives you the exact profile of your energy consumption, but also identifies and suggests energy and cost saving steps – a win-win for all. ESKOM has 13 tariffs on energy. For the 2016/17 year alone, South Africa’s energy regulator gave Eskom the goahead to hike electricity prices by a whopping 9.4% (and 12-15% is forecasted for the next five years). An energy audit detailed report will prioritise cost-effective measures that can be taken to ensure homes, commercial buildings and industrial complexes run more efficiently. When buying a house, the mortgage payment is one consideration, but ongoing maintenance and utility bills are also part of a smart consumer’s equation. Conducting an energy audit can make your home more attractive to buyers. “The rule of thumb is take the cost of the solar installation and add 30%. Then add that value to your property value,” says Brown. “Research has shown that when selling your property and providing a detailed energy audit solar readiness report the chances of the sale increases by 23%.” Overall, an energy audit is just a wise investment. There may be unknown problems such as incorrect wiring within the residence or place of work. These are highly dangerous conditions, which can cause major health and safety problems along the way. An energy audit may highlight issues before the problems escalate. “We often see incorrect electrical connections, shoddy workmanship and downright dangerous installations. The advantage to our clients is the fact that these issues are sometimes highlighted during the energy audits,” says Brown. According to a Sustainable Energy Africa report by Peta Wolpe and Yachika Reddy, South Africa is ranked among the world’s top 12 largest carbon dioxide (CO2) emitters, largely due to heavy dependence on coal for 93% of electricity generation. An energy audit can help find the correct alternatives to coal for energy, helping to improve on greenhouse gas emissions in the country. It is also revealed that the average emissions by sector in 2011 were 20% in residential areas, 12% commercial and 25% industrial. By committing to an energy efficiency plan via a thorough analysis from an energy audit, huge improvements can be made in favour of the environment, reducing emissions per sector with alternative energy solutions. To get an energy audit from Solterra Cape/West Coast contact us. If you apply for an energy audit between 21 July and 31 August 2016 you will get 50% off! (Normal price R2 500. Your price R1 250). To apply, email chris.cape@solterra.co.za.